This topic explains the steps required to update existing Dynamics 365 for Finance and Operations 8.0 environments to 8.1.X or 10.X application releases. Traditionally, moving to a newer application version has involved a rigorous upgrade that includes deployment of additional virtual machines, code upgrade, data upgrade, and scheduling several days in advance with the Microsoft Dynamics Service Engineering (DSE) team. You will notice that we are making the uptake of the latest version simpler, and this will continue to improve over time. We are supporting an update experience as compared to a full upgrade. This is possible because there are no Data Upgrade or Code Upgrade steps between the 8.0 and 8.1/10.0 application schema. The target environments will be updated just like you would apply a Platform update. Deploy 8.1/10.0 developer and build environments. Branch in version control and remove any application hotfixes. Recompile custom extensions and/or ISV solutions. Produce a single software deployable package. 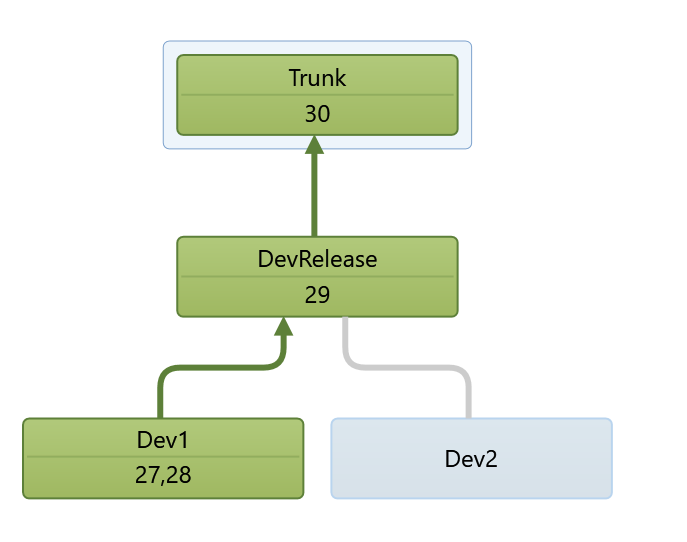 Merge a deployable package with the 8.1/10.0 binary update package. Deploy to target environments for validation. Using Lifecycle Services, deploy at least one developer environment and a single, new build environment on application 8.1/10.0 release. On average this takes 3-4 hours and can be done simultaneously. For the build environment, Create a new agent pool and assign it to this environment on the Advanced options screen. In Lifecycle Services, go to the build server that you deployed in step 1. Using the Update tiles at the bottom of the Environment details page, grab the latest updates available and store it in your project's Asset Library using the Save package button. For example, this could be saving the 10.0 Platform update 24 package to the Asset Library. Apply this same package back to the build server where you saved the package, as well as any of the new 8.1/10.0 developer environments you have deployed. We recommend taking the latest updates such as 10.0 Platform update 24 which will be available from the Update tiles when you deploy your 10.0 Platform update 24 build server. If your tiles show a count of "0" on the build server, then you can pull the related package from the shared asset library for your version. If your tiles show a count greater than 0, this is the better package to pull and use. While the new environments are deploying, begin the branching work for your update. Use the following branch structure in version control as an example. Branching design varies for each customer, so be careful to adjust your steps accordingly based on how your branches are set up. On any other development machine (other than the new ones being deployed), open Visual Studio and visit the Source Control Explorer. You will create a new branch that will be isolated for the 8.1/10.0 update. Next, delete any Microsoft package folders in this branch. You can have packages, such as ApplicationSuite, checked in from applying hotfixes on 8.0 which need to be removed. 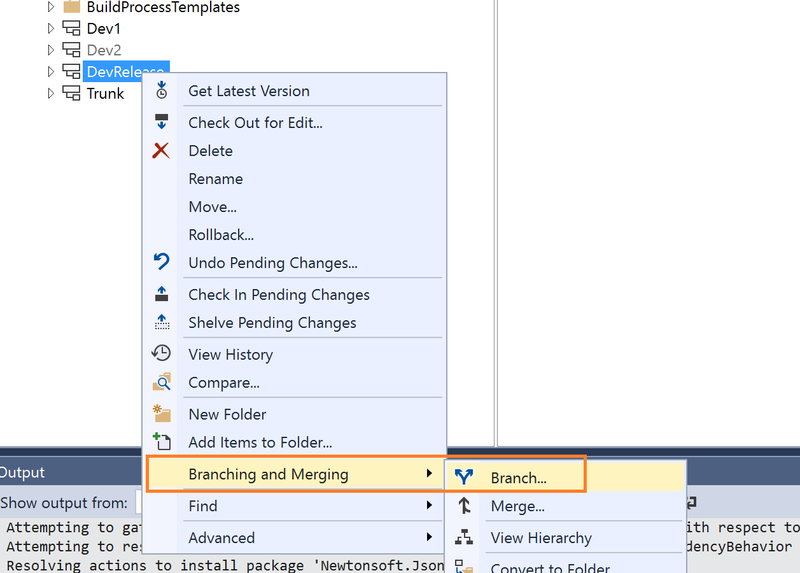 When only your custom packages or ISVs remain, check these changes in to the branch. It is critical that this is done before you map version control workspaces on your new development environments. This is to avoid the deletion of the Microsoft hotfixes to cascade to your working environment and delete untouched 8.1/10.0 application code. Now you are ready to map this branch to a new development environment and compile your extensions and ISV solutions if they have provided you with source code. If your ISVs have only provided binary packages, you can check them in to source control, and the build environment will merge the binaries with your extension package to produce a single software deployable package. Additional information on this process can be found at Deployable packages from third parties. This will help later when you merge your package with the 8.1/10.0 binary update. This step is necessary as the 8.1/10.0 application code is not backward compatible with 8.0 from a binary level. In future application releases this step will be optional. After you have compiled in a developer environment and there are no errors to resolve, start a build in Azure DevOps using your new 8.1/10.0 build environment agent that was setup earlier. When this is complete, a deployable package artifact will be attached to your build results. Download this package and upload it to the Lifecycle Services Asset Library. This single package should have all of your extensions and ISV solutions. In your project's Asset Library, locate both your new 8.1/10.0 software deployable package (your customization package that includes your ISVs) and the 8.1.X/10.X PU2X binary update package that was saved in Step 1 at the beginning of the topic. Highlight both packages and select Merge. This will combine the files into a merged update package. You can now apply this package to your various test environments. Using the merged update package, deploy this to your various test environments. For more on how to do this, see Apply updates to cloud environments. This merged update package can be deployed to your Tier1/OneBox environments as well as Tier-2 sandboxes. At a minimum, you must deploy this to the sandbox Tier-2 environment that comes with your subscription. After you have finished with validation, mark the merged update package as a Release Candidate. After you have marked the Release Candidate in your Asset Library, you can schedule the deployment to your Production environment. This will follow the same process for applying other software deployable packages. The package can be applied to your 8.0 environments and it will update your source code. Compiling of your extension packages should not be impacted. If you had overlayering and have removed objects from the ApplicationSuite package, and try to recompile it, you may run in to errors. Until this is resolved, please redeploy your developer environments on 8.1/10.0 and sync in your source code from version control. It was originally communicated that the package would be found on the All Binary Updates tile. To prevent customers who want to simply get the latest binaries for release 8.0 from accidentally updating to release 8.1, we have moved the binary package to the Shared Asset Library. This topic has been updated to reflect this change. Exception calling "CreateRuntimeProvider" with "1" argument(s): "Runtime metadata is invalid because the same metadata artifact has been defined in multiple assemblies. \nFirst 10 conflicting names: SystemAdministration.Extension1. \nSee metadata events for complete list." To prevent this from occurring, ensure that you compile your extensions on an 8.1/10.0 developer machine. To resolve this issue, rename any of your extension objects with a vanity extension naming convention, such as SystemAdministration.Customer. There is a known issue where IIS/Application Pools are not fully restarted when the DVT or ETW step runs. The failure occurs because the DVTs are trying to connect to your environment's URL. To resolve this issue, click Resume on your deployment in LCS to retry the step. We are working to add a timer and automatic retry to resolve this issue.